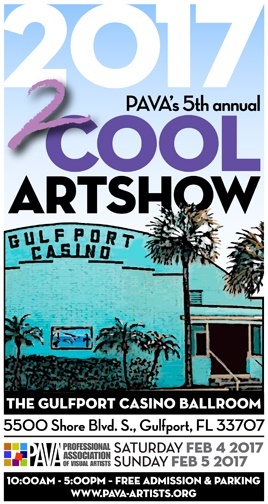 The 30th Annual Cool Art Show is coming up fast – next weekend, at the Coliseum in St. Pete. It will be a great show, with 76 artists on hand to show and sell their work. All are members of the Professional Association of Visual Artists. It’s hard to believe I’m among the artists who’ve participated the longest – most of those 30 years! I’ve framed two new pieces for this show – including the one shown here – and there will be new work in my browse bins too. I have four workshops coming in 2017 and 2018 at the Lee County Alliance for the Arts in Ft Myers. The first is The Secret Weapons of Colored Pencil on October 28 – 29. No matter your level of experience, you will learn tricks and tips to help you get the most from the very versatile medium of colored pencil. All students receive a custom kit with supplies, paper and handouts and pencil sets will be available for use in class if you wish to try before you buy. Discover Watercolor Pencil, December 9 – 10. Learn how freeing – and how much fun – it is to let go of perfectionism to draw with a pen! 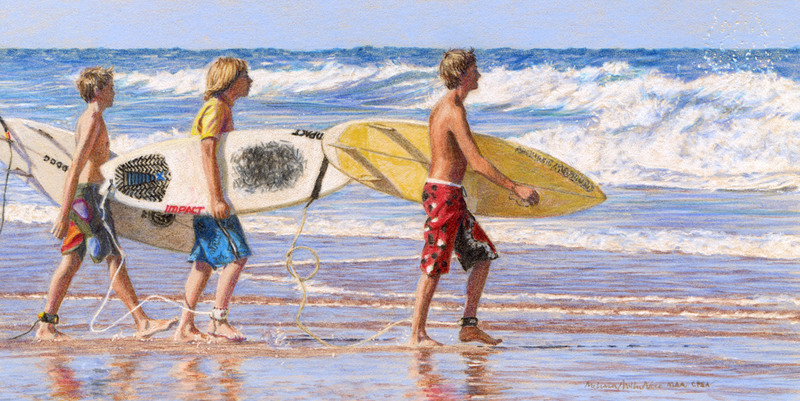 This fast and fun technique uses colored pencil or pastel over clear gesso and oil paint – and most materials are provided. This class is based on my article in The Artist’s Magazine, October 2012. 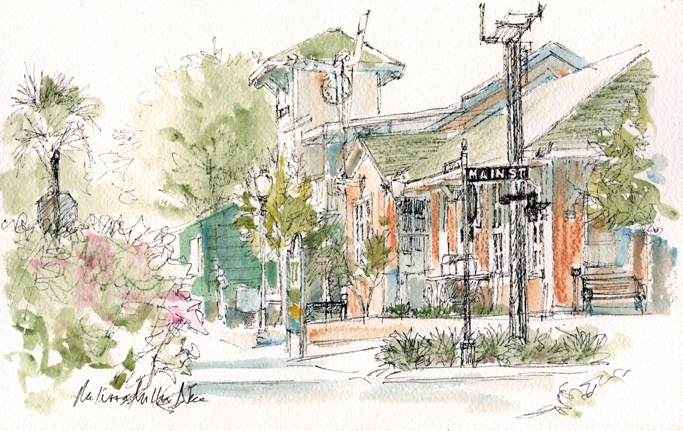 All my regular classes are scheduled for Fall Sesson II at the Dunedin Fine Art Center – Basic Drawing, Tuesdays 3:30 – 6:30, Colored Pencil for Everyone, Tuesdays 12:30 – 3:30, and Open Painting (oil or acrylic), Thursday nights, 7 – 10:00 and Friday mornings, 9 – noon. Six week classes are $149 members/$179 non-members. Also coming up, Mixing Media with Colored Pencil & Pastel, a two-day workshop, December 2 – 3. 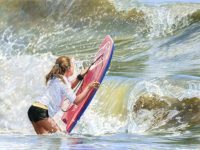 This fast and fun technique uses colored pencil or pastel over clear gesso and oil paint – and most materials are provided. This class is based on my article in The Artist’s Magazine, October 2012. I am proud to announce the unveiling of a new body of work. My solo show, Return to the Water’s Edge, opens on November 4 at the Musunuru Gallery of Pasco Hernando State College (New Port Richey FL). 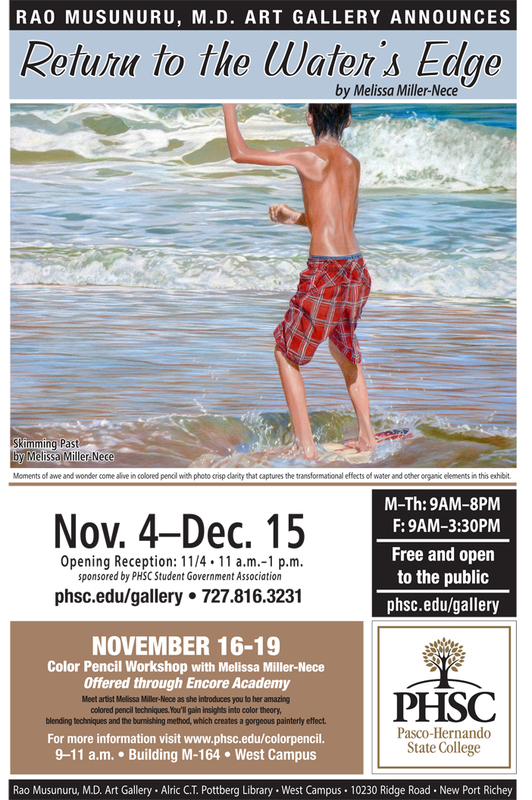 The reception is November 4, 11 AM – 1 PM; the show will be on display until December 15, 2015. 18 of the 25 pieces in this show were completed this year. The main theme runs through nearly all of my work – being near water, especially Florida beaches, is good for us. We all relate to being in and near the water, and these drawings are intended to take us all back to that happy, healing place. Winter Workshops – Sign Up NOW! The instructor is a Registered Teacher in the Michael Wilcox (author of Blue and Yellow Don’t Make Green) School of Color. The Wilcox method is guaranteed to help you save money on paint and time in finding the color you need! Features introduction to color theory, video presentation and hands-on exercises. Discussion will also include lightfastness, color schemes, and literal/interpretive use of color.